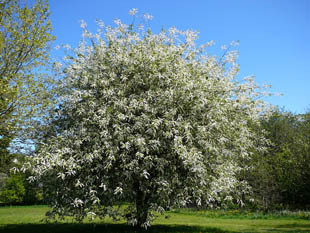 It grows in woodland, hedgerows, heaths and by rivers. 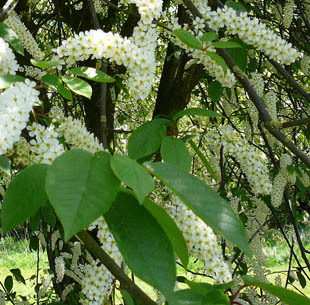 Rum Cherry is a medium-sized tree, growing up to 25m. Flowers are in spikes of about 10cm. 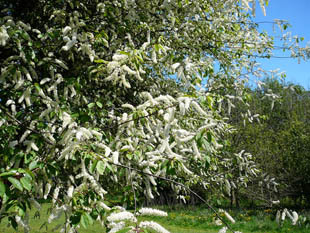 Flowers are 1cm across with 5 creamy white petals. 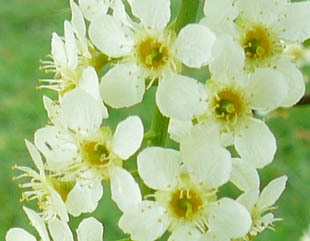 There are numerous stamens and a greeny yellow stigma. Leaves are pointed ovals and smooth.